Is YouTube’s Partner Program is Available in Your Country? 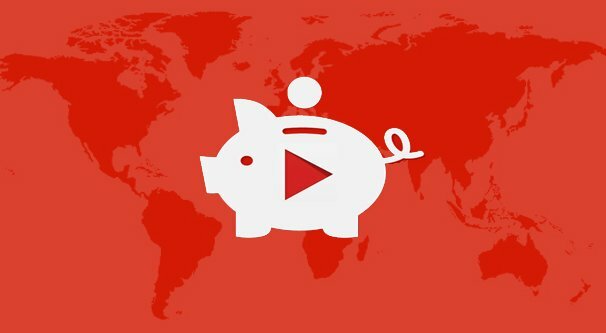 Blog > YouTube > Is YouTube’s Partner Program is Available in Your Country? 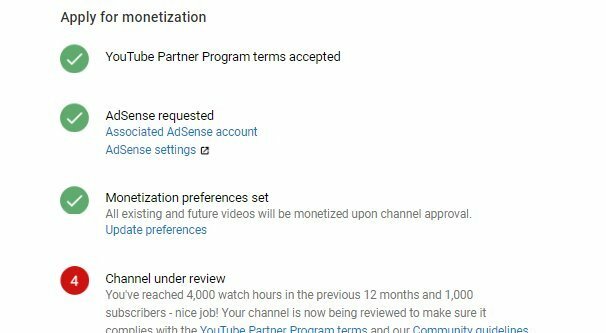 YouTube has been making a lot of changes to their partner program over the last year or so. The biggest changes hit back in January of 2018, where they changed the minimum requirements to monetize a YouTube channel. This change is very controversial, and saw a lot of pushback from creators of varying sizes. Unfortunately, that pushback hasn’t changed YouTube’s stance on the changes, and almost a year later, they’re still implemented. Putting those requirements aside for the moment, one question you may have to ask yourself is whether or not the partner program is even available to you. It does you no good to build up a YouTube channel in hopes of earning monetization privileges, only to find out you’re not eligible in the first place. 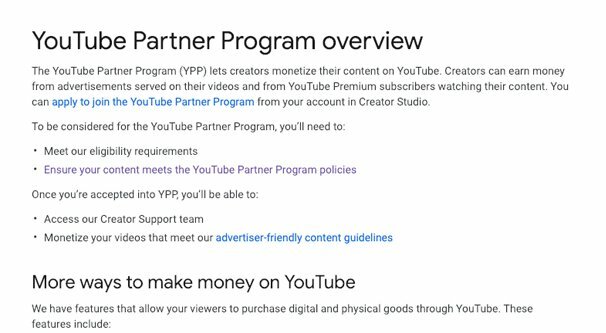 The YouTube Partner Program is Google’s way of letting content creators monetize their content on the site directly. YouTube is, essentially, one of the largest destination sites for Google ads. 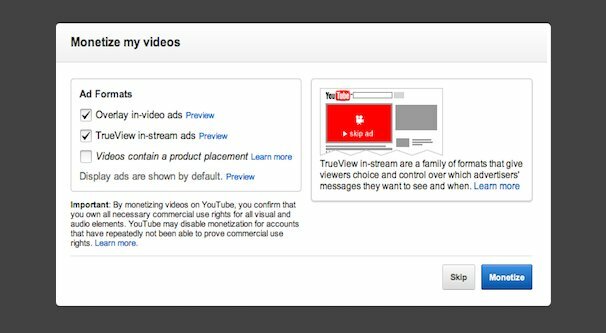 Advertisers on Google Ads can choose to run their ads on YouTube, as well as other locations in their publisher network or in the Google search results directly. 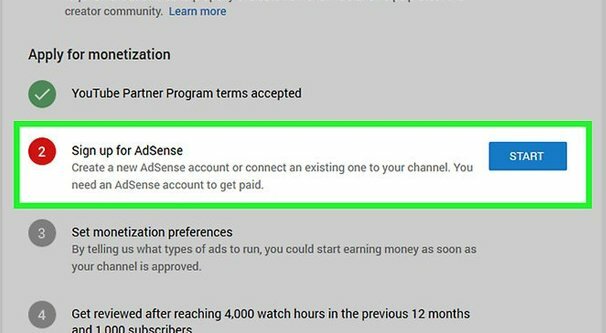 Creators who are eligible to join the YouTube Partner Program are able to run ads on their content when they publish it. They have some control over those ads, but aren’t able to specifically pick and choose what ads run on their channel or on specific videos. Ads can show up before, during, or after videos, as an overlay across videos and embeds of those videos on other sites, and below the video and in the sidebar next to the video. It’s rare that every one of these slots is active simultaneously, but on particularly popular content it may be true. Creators in the YouTube Partner Program also earn money for the watch time on their videos that comes from YouTube Premium subscribers. YouTube Premium, for those who don’t know, is the modern name for YouTube Red, their paid subscription service. As a brief digression, YouTube Premium is a fairly valuable service for a lot of people. It offers ad-free viewing, as well as the ability to locally download videos for play offline. More importantly, you can watch videos in the background while you do other things, enabling you to listen to music while playing a game or working on a task app. Premium also gives you access to Original Content created specifically for Premium subscribers, which is not available to regular users. All of this comes for something like $12 per month, similar to a Netflix subscription. In order to be eligible for the YouTube Partner Program, you must have a channel with an appropriate number of relevant metrics, that passes a scan to audit for fake metrics, and is located within an eligible country. The modern requirements for the YouTube Partner Program, in addition to geographic location, are two-fold. You must have 1,000 subscribers minimum, and a minimum of 4,000 watch-hours on a rolling 12-month basis. Both of these are surprisingly difficult if you’re not making a dedicated push to get them. If you’re interested, we’ve produced guides for both aspects. In general, most of our advice comes down to “post more high quality content.” One video getting 4,000 hours of view time in a year is a tall order. Two videos getting 2,000 hours apiece is a slightly easier feat. 10 videos each getting 400 hours is easier, and 100 videos each getting 40 hours is even easier. For reference, you don’t need to have a video getting millions of views to reach this level of view time. An old test account of mine met this requirement with a single video (roughly an hour long) getting around 40,000 views. Once your video reaches a certain level of popularity, the YouTube algorithm picks it up and starts circulating it as part of recommended videos and as video autoplay queues, which gives you a bunch of view time fairly easily. In my opinion, getting legitimate subscribers – as in, subscribers that won’t be removed when YouTube does bot audit passes – is the harder of the two requirements. In any case, this is all a moot point if you’re not in an appropriate country. YouTube has requirements for the geographic location of their content producers, or rather, for the content producers they’ll allow to monetize on their platform. There are three reasons for this. First, YouTube doesn’t want to have to deal with certain international laws. Some countries, for example, are under ongoing trade embargos. 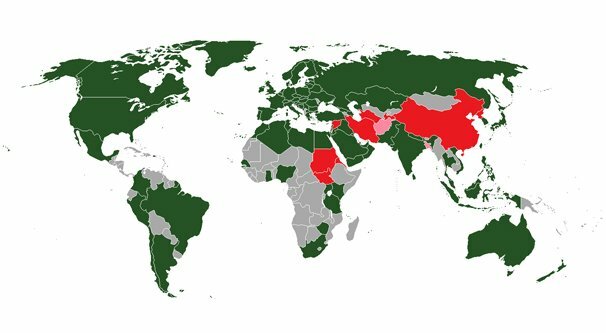 Even as a global company, Google doesn’t want to risk violating international laws, so they stay away from these verboten countries. Second, YouTube doesn’t want to have to navigate various tax and payment restrictions in certain countries. It can be difficult to send money to some areas of the world, which is why a lot of third-world scammers demand their money in Bitcoin, iTunes gift cards, or Western Union (and similar cashier’s check payments). Third, YouTube eliminates certain countries from the list simply because they tend to be hubs of fraud. If 90% or more of the accounts monetizing from a specific country are only earning money because of fake views they buy from view networks, YouTube simply decides to blacklist that country rather than fight, audit, and risk paying people who didn’t earn their money. This third point comes down to Google’s relationship with advertisers more than anything. Google has to keep its advertisers happy. If an advertiser pays for an ad on their platform, and that ad only gets views from Bangladesh, that advertiser probably isn’t going to be happy about it. Sure, their views might be very cheap – even penny views in some cases – but their profits from that ad will be zero. Google would rather keep their advertisers happy than they would have another country on the roster of people they have to pay. As you can see, many nations in Africa are not listed, largely due to a combination of low consumer intent and high fraud. Some areas of Asia are not available, largely due to China and its influence on the regional Internet, as well as the middle eastern tendency toward fraud as well. Meanwhile, most of Europe and North America are available. Much of Oceania is not available outside of the main two countries people think of in the area, though the other countries tend to be small islands with minimal presence as far as Google is concerned. South America, meanwhile, has some economic and political issues blocking several countries, such as Venezuela. If you’re interested – or if you’re reading this article over a year since I wrote it – go ahead and check Google’s curated list here. It’s always possible that this list will change due to geopolitical circumstances or Google’s own trade deals, so feel free to verify. If you’ve verified that you meet the minimum requirements and you’re in an eligible country, it’s a four-step process to apply for the Partner Program. Step 1 is to read and agree to the Partner Program terms. In YouTube, go to your Creator Studio. In Channel Status and Features, find Monetization, and click Enable. Step 2 is to go to AdSense – now Google Ads – and sign up. You need a Google Ads account as a publisher to be able to monetize on YouTube. Step 3 is to set your monetization preferences. Choose to monetize your existing and future videos, and choose which ad formats you want to allow on your channel. You can always change this later, but you need to set something now. Step 4 is to wait for your channel to be reviewed. YouTube will audit your channel. Does your channel violate any of the Partner Program policies, the YouTube terms of service, the community guidelines, or the spam policies? If so, you will receive the appropriate penalties and be denied monetization. Are your subscribers fake accounts? Google will take this opportunity to audit and remove your subscribers if they fit the criteria to be considered fake accounts. Is any of your watch time coming from fake users? Google has a fairly sophisticated algorithm for determining whether or not a viewer is legitimate, and will remove watch time as necessary if it’s coming from false accounts. Have you violated any of the rules for copyrighted content? If so, you will receive the relevant copyright strikes – up to and including the removal of your account, if you’re persistent with it – and will deny monetization. Once you have monetization, it’s relatively hard to lose it. You can only lose it by violating policies in a way that you’re caught and penalized for it, or by being inactive. A channel that has one viral video kicking it over the watch time threshold can earn monetization on the back of that video, and then fall under the watch time threshold as the video tapers off. You will not lose monetization if this happens. The only way you will lose monetization if this happens is if your channel is completely inactive for at least six months, with no new uploads or community posts in that time. What If You Live In Another Country? So what happens if you’re running a YouTube channel, but you live in a country where monetization is not available? You have a couple of options. The first option is to fake it. Or, rather, to operate a business out of an appropriate country. 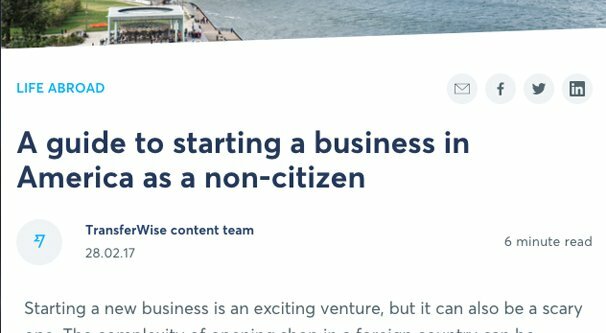 You can register a company in a country that is monetized, though you will need to follow whatever laws are appropriate for that country, including paying taxes to that government, and this may include some part-time residency in the country. You can choose the country where your account is operating in your channel settings, under advanced. Generally, you want to choose the country where you live and are posting content. However, choosing a monetized country can work too. Just remember that if you’re getting paid to an account and you pass the minimum threshold required for Google to report your payments to the IRS or whatever the governing tax body is for the country you chose, you will have to deal with that. If Google reports your income to a tax authority and you fail to pay taxes on that income, you can end up in a lot of trouble with both a government and Google. The other alternative is to find a different means of monetizing your videos. You may be able to work with a partner organization on YouTube that will work with your country for a cut of your profits. There are a lot of different organizations willing to work with just about anyone, though you’ll end up signing over a significant part of your income to them. It’s up to you to determine if such a deal is worthwhile. Hi Thayaparan, unfortunately if it’s not available in your country yet they won’t accept your application. If you have a friend in another country who might be able to create an account for you, that’s one workaround. There are lots of ways to monetize a YouTube channel outside of ads, like product reviews (for example). I hope this helps! I live on the island of st.croix in the U.S Virgin islands, will i get paid if I start a youtube channel? Hi Kimona! Google lists the US Virgin Islands as an acceptable country with just about every one of their services (AdSense, Google Ads, etc), so I think it’s safe to say you can apply. Good luck!